← Why can’t we all get along?!? 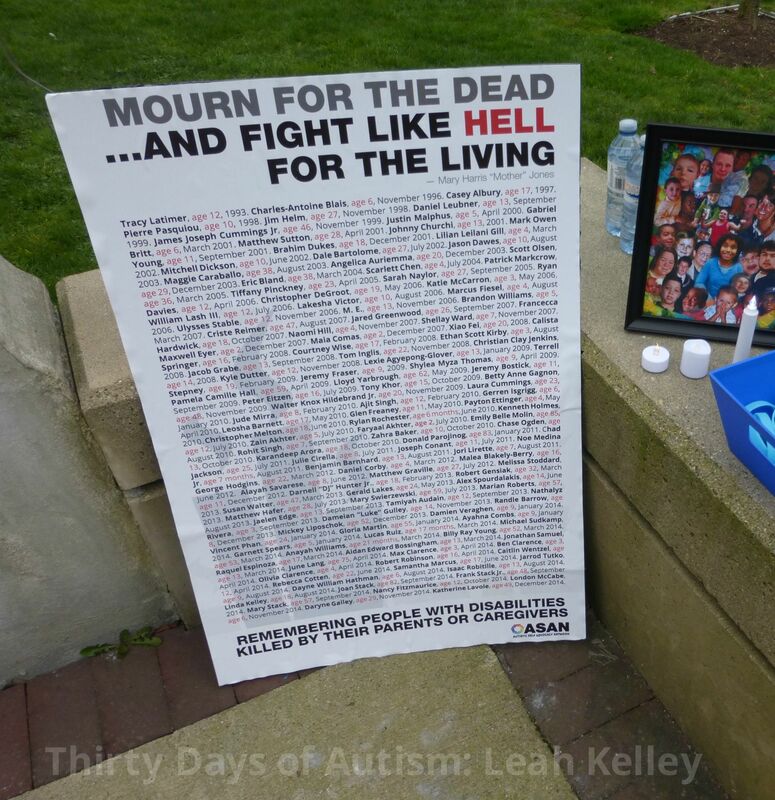 ASAN’s Day of Mourning Poster which lists names of Disabled people killed by their parents or caregivers. ___________________________________________________ 30 Days of Autism is a project designed to fight stigma, promote civil rights, and increase understanding and acceptance for those who process and experience the world differently. This entry was posted in ableism, ASAN, Boycott Autism Speaks, Death, Disability Day of Mourning, family, Rail Against Stigma and tagged ableism, ASAN, ASAN Vancouver, Autism Speaks, burden, charity, crisis, cure, Day of Mourning, deficit based, Epidemic, filicide, in Memory of Alex Spourdalakis, murder, My life is not tragic, No More, not broken, poem, silencing, the lives of disabled people have value, Tragedy, Witnesses, Woodlands, Woodlands Asylum. Bookmark the permalink. Pingback: “Stop…” A Poem: Disability Day of Mourning 2016 – Appalachian aspie part two.